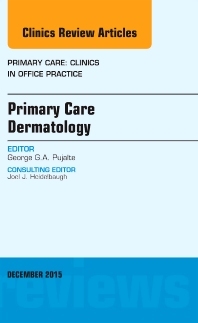 This issue of Primary Care: Clinics in Office Practice, Guest Edited by George G.A. Pujalte, MD, is devoted to Primary Care Dermatology. Dr. Pujalte has assembled a group of expert authors to review the following topics: Urticaria and allergy-mediated conditions; Dermatologic manifestations of systemic diseases; Viral skin infections; Fungal skin infections; Bacterial skin infections; Parasitic skin infections; Pressure and friction injuries to the skin; Sunburn, thermal, and chemical injuries to the skin; Acne; Alopecia; Nail deformities and injuries; and Skin cancer.